If you are lucky enough to be buying a brand new car, then you should prepare for a relatively seamless experience. With a brand new vehicle, various warranties are on offer, answers are certain and researched, and options are plentiful. When it comes to buying a used car, however, you're going to need to put in a little more work. To help you on your way to getting a good quality used car, USA Synthetics has a post to share with questions to ask the dealer or seller before signing those papers. Who Was the Previous Driver? The answer to this question can give you an indication as to how the car was driven, and the potential level of maintenance and upkeep it received. The perfect answer would involve a driver likely to make small trips and drive carefully. 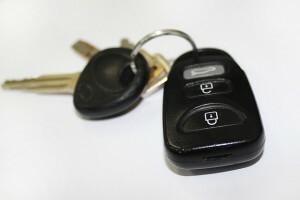 If the seller advises that the car was a previous first car for a new driver, or was used as a courier vehicle then this could suggest the type of driving the car has seen and even an indication of how much maintenance is received. If the answer even has a hint of mechanical reasons, it's time to move on to the next car. While this is a sign that the dealer you are speaking with is an honest one, a car with mechanical problems is never a good buy unless you are very mechanically minded and are able to make any repairs yourself. Ideally, you would be looking for an instance where a family needs to upgrade because of a new addition or it was a corporate fleet car and the lease has expired. Look for an answer which gives you an indication of how well the car was treated previously. Given that the car is not likely to come with an extensive warranty, it's important to have it thoroughly inspected by your own mechanic. This would either be at your mechanic's garage or at the dealership itself. If the dealer or the seller is uncomfortable allowing an inspection, then it is likely a sign that there is something being hidden. If this is the case, it might be best to browse another dealership entirely. After you have found the car for you, take care of the engine by using a high-quality synthetic oil. Speak with USA Synthetics at (405) 388-6170 and ask about which AMSOIL engine lubricant is best suited to your car. AMSOIL synthetic oil has been designed to encourage maximum engine performance and protection. Can I Take It for a Spin? As strange as it may sound, some car dealerships and sellers don't allow customers to test drive the vehicles. Instead, these dealers and sellers offer to drive potential customers around while they are a passenger. Similar to the point regarding a mechanical inspection, if the answer is no, it's probably best to move on to another dealership. When you are taking the car out for a test drive, don't be afraid to drive it how you usually would. Of course, you should always drive safely, but there's no need to stay well under the limit and brake at each corner because of the sales agent in the passenger seat. Within the bounds of respect, be sure to really test drive the car and make sure that it adequately suits your needs. Does the Car Come With a Maintenance Log? The best thing that you can hope for is a full and comprehensive maintenance log completed by one mechanic's garage for the life of the vehicle. If it does come with a log, take a good look through and make sure that regular maintenance has occurred and that all fluids used were high quality. If it doesn't come with a log book, ask the dealer or seller if they have any information about the maintenance history of the vehicle. If you have any doubts, raise these with your own mechanic prior to their inspection. Once you have found your perfect car, make sure to use only the best products. High-quality synthetic oils are designed to increase engine performance and maximize its lifespan. Speak with USA Synthetics at (405) 388-6170 and ask about the range of AMSOIL engine lubricants available for your vehicle. If you prefer, the online store has further information about each product and can help you find the best suitable engine lubricant for your needs.